I enjoyed the world building, even though the setting was static. I enjoyed the character building, even though the identity of the main character wasn't obvious from the beginning. While the story left a good bit of detail to the imagination or to speculation, the economy of language made it enjoyable for me. The reader gets only the most relevant detailed glimpses into a lifetime's worth of narrative and then they are boiled down to a poignant reminder about mortality and the passage of time. Some of my favorite stories are ones that make me work for understanding, evoke conflicting emotional responses, and force the mundane and metaphysical to exist in the same sphere without interrupting my suspension of disbelief. This story does all of that and still offers a solid ending, which I always appreciate. It took me a quick minute understand the split of the narration, by chapter rather than by character. Once I wrapped my brain around that, it was no problem at all. There was no excessive background noise, no popping or clicking, no awkward mispronunciations, and speech and cadence were good. I highly recommend giving it a listen. *Full disclosure: I bought the book on paper, then I won the audio version in a FB contest. It seems the boy in the red sweater has always been at the playground; before Jimmy was born, during his childhood and when he became a grownup. The mysterious red boy, who knows the future and is incessantly looking for bones in the ground. This book seems composed by short stories, being each one a stage in Jimmy's life. 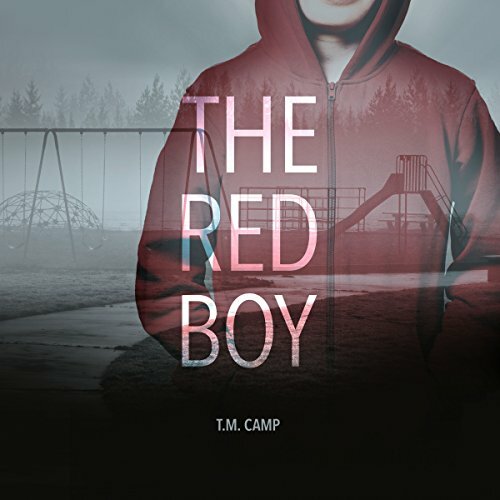 Seasons and years pass by, but the red boy is the constant in this story. The book is just over three hours, and due to its construction, we know little about the characters, but despite their short appearances they were really well constructed, and the dialogs are vivid and feel natural. I would like to comment that the fact that Jimmy's son is called James got me confused a couple of times. I think a more different name would have worked better here. The only drawback is how short this story is. I wish I had more time to better know the characters, and especially the boy in the red sweater. We get a glimpse of why he is there looking for bones, but I would have wished to know more. The book is narrated by Tanya Eby and Neil Hellegers, but not in the usual way of having the male narrator doing male voices, and the female narrator doing female voices. Each narrator took turns to narrate each chapter, which felt weird and in my opinion, make the book to lose continuity. This feeling could be because their styles and postproduction were very different, although I really liked both narrators. I especially enjoyed Eby's clarity and Hellegers' ability to express the characters' emotions. It was a good book but I would have liked for Camp to have expanded the story and tell us more about the characters. The story and the character building were very promising. In the end it seemed more like a campfire story.